Delivering truly immersive surround sound without the constraint of your position, room size, or shape, this Philips Fidelio Ambisound home theater system has six precisely angled drivers to create a more embracing surround sound effect. Ambisound technology produces truly embracing multi-channel surround sound from fewer speakers. It delivers an immersive 5.1 sound experience without the constraints of sitting position, room shape or size, and without the clutter of multiple speakers and cables. Through the combined effect of psychoacoustic phenomena, array processing, and precisely angled driver positioning, Ambisound delivers more sound from fewer speakers. Philips home theater and Blu-ray player with Smart TV Plus offer you an array of enhanced features, including Net TV, SimplyShare, and MyRemote. Net TV brings a wide range of online information & entertainment to your TV for services like video-on-demand. With SimplyShare, you can access photos, music, and movies stored on your PC from the comfort of your couch. You can also use your smartphone/tablet to control your home theater via Philips MyRemote app. Be enthralled by 3D movies in your own living room on a Full HD 3D TV. Active 3D uses the latest generation of fast switching displays for real life depth and realism in full 1080 x 1920 HD resolution. By watching these images through special glasses with right and left lenses that are timed to open and close in synchrony with alternating images, the full HD 3D viewing experience is created in your home cinema. Premium 3D movie releases on Blu- ray offer a wide, high quality selection of content. 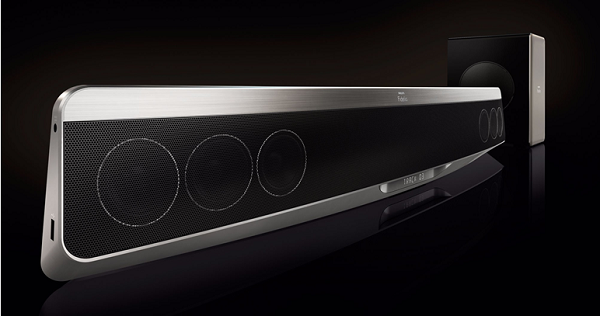 Blu-ray also delivers uncompressed surround sound for an unbelievably real audio experience. Philips SimplyShare lets you share your music, movies, and photos from tablet, smartphone, and PCs to your home theater and Blu-ray player. You can stream all entertainment directly from your DLNA-enabled devices or use remote control to access and stream media files from your PC. For the best wireless experience, install the SimplyShare app on your tablet/ smartphone. You are now ready to enjoy all your entertainment effortlessly. With built-in Wi-Fi, you can access your media content wireless. Say goodbye to squinting at the computer screen, and lean back and enjoy your media files on your TV - in the comfort of your living room. Internet radio is an audio broadcasting service that is transmitted via the Internet. Some Internet stations are affilated with a traditional (terrestrial) radio station or network while others are internet-only radio stations, which are independent and devote their broadcasts only to the World Wide Web. With Internet Radio, you can enjoy access to online radio stations from anywhere in the world and listen to a wide variety of genres, news, sports, and entertainment updates, or connect to favourite or niche stations. Enjoy 3D movie excitement in your home using your existing 2D movie collection. Instant 3D conversion uses the latest digital technology to analyze 2D video content to distinguish between foreground and background objects. This detail generates a depth map that converts normal 2D video formats, into exciting 3D. Along with your compatible 3D TV, you are now ready to experience full HD 3D.